This is a sponsored post with Good Deed Entertainment. All opinions are mine. Storm Boy, from Good Deed Entertainment, is in select theaters this Friday April 5th. It is an emotional film dealing with love, loss, family issues, friendship, cultural diversity and animal wildlife protection/conservation. 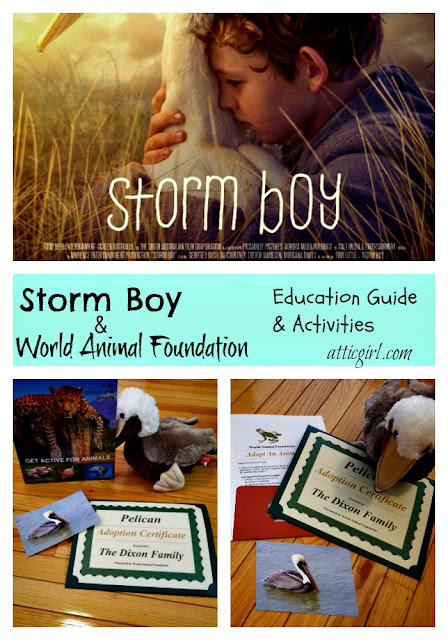 Adapted from the 1976 Australian novella by a Colin Thiele, STORM BOY tells the story of the young, lonely Michael 'Storm Boy' Kingley, who rescues a trio of orphaned pelican hatchlings, forming a loving bond with the birds, which enriches all of their lives as well as those around them in their small Australian town. If you missed it, you can check out our Storm Boy Movie Review. 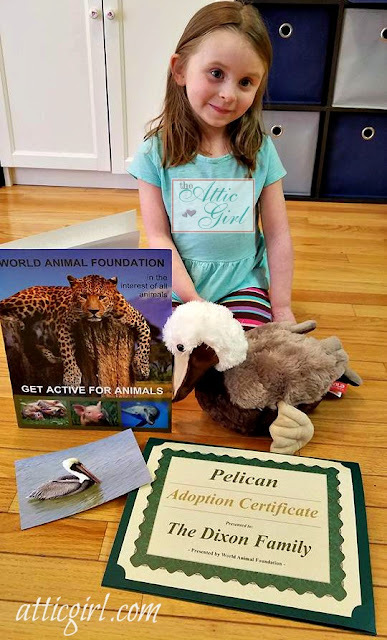 We partnered with World Animal Foundation to adopt a pelican. When you adopt an animal from WAF, your money helps ensure that these animals live in a safe and natural habitat. You can do your part in nature conservation by adopting an animal too. Find out more at World Animation Foundation. To celebrate the movie's release, I have a printable Activity Packet for your kids. 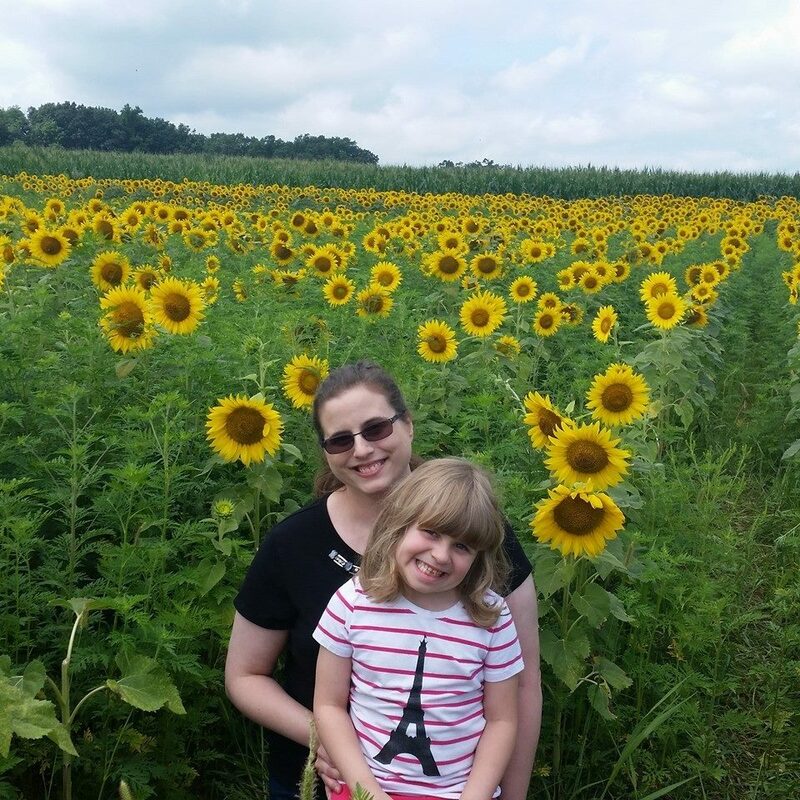 It also has an Education Guide with tons of photos from the film, kid-friendly info. on pelicans, the original story, Australia, ecology and the environment, filmmaking, and much more. 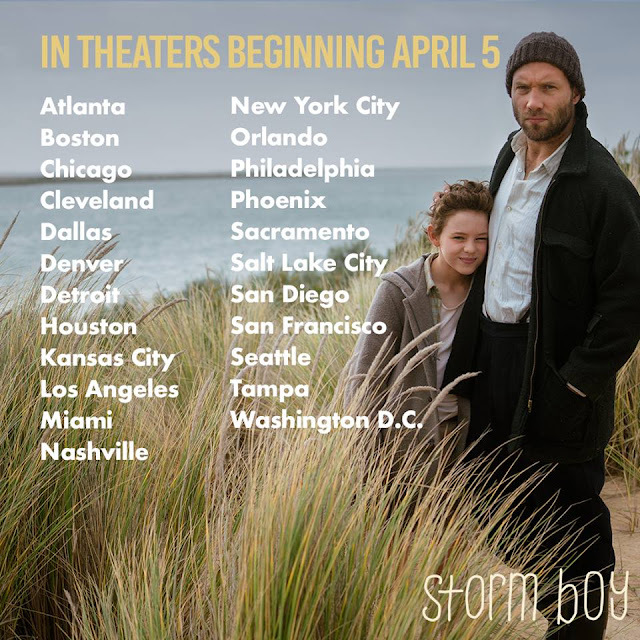 See Storm Boy April 5, 2019, in select cities.